It was strange to come back to my blog after a three-year absence, and browse my Finished Projects page. Who on earth was this person?! Was that really me?! Did I make that?! I have to be honest and confess that a lot of those things I never wore because they were Just Not Me. The biggest culprits in all this were vintage patterns – lots of fun to make up, but you have to be careful that they fit in to your real life and not a fantasy life! 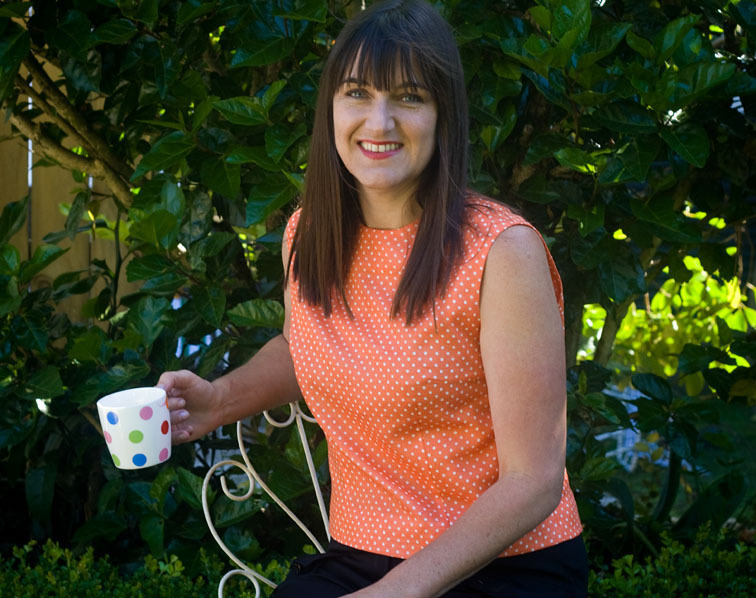 I don’t know if anyone noticed, but I used to keep my Finished Projects page current by removing items from the page as they were removed from my wardrobe – so some extensive blog housekeeping was way overdue! I decided to document the clean-out here, so now you know what happened to all those things. I love the colour of this dress, and even though it is now a size too big for me I still wear it. I must have snagged the back skirt on something as it has a small but growing hole, so will be retired soon. When these got too big I unpicked them and made them a size smaller because I missed them so much! Still in regular rotation. 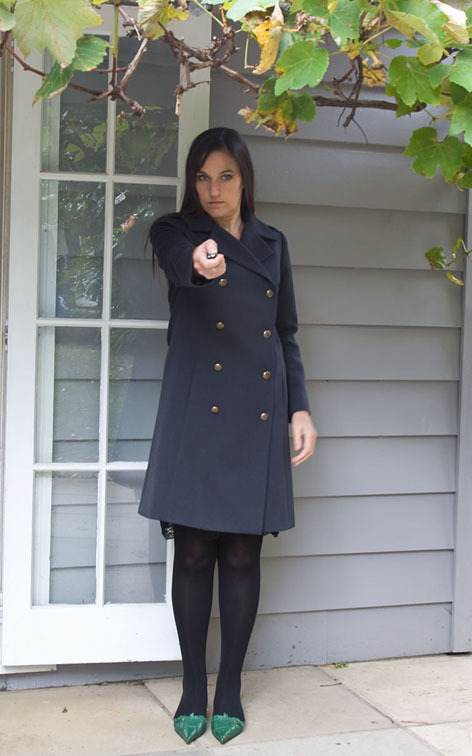 One of my go to coats, and many of you will know this from the inside out as the subject of the Ready To Wear Tailoring Sew Along. A bit frou-frou for my usual taste, I do still love this dress. It is so nice to wear in summer, and I’m looking forward to a fourth summer in this dress! 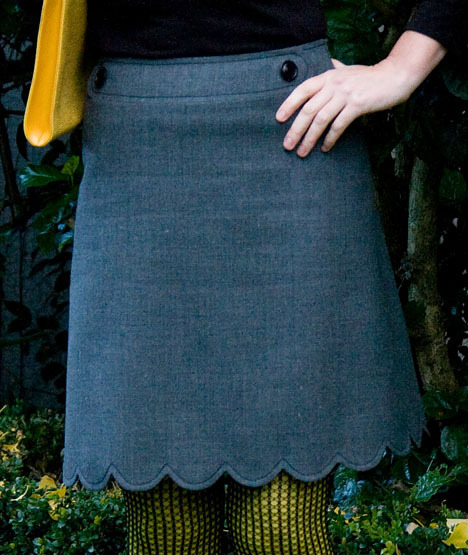 PS: I came across this pattern the other day and thought about putting it up online – the skirt is just a rectangle, so the actual pattern would only be a few tiny bodice pieces and quick to print – anybody interested? For a jacket with no sleeves, this is actually quite versatile, and was worn more than I thought it would be. It is still hanging in my wardrobe – just. bleach-like mystery spots on it also. No-one is owning up. I machine washed both these items which shortened their life (better that way than shortening mine!) The spaghetti straps on Black Ruby eventually wore thin and started to fray and fall apart. And the shift dress became a bit too faded looking to go out in public. This garnered many compliments whenever I wore it, but I felt like a young junior teen! Always a little big, now it is huge. It is hanging around somewhere waiting to be altered, and at this rate never will be. Also too big. Funny, now looking at this blog post I prefer the original shorter length! As much as I like this design, it was too impractical for me. It looks great buttoned up – and only buttoned up – which is where the problem lies. Maybe I watched too much Zorro as a child, but I think a cape needs to be quick and easy to remove, and with 6 buttons to undo before you could get it off, this wasn’t. I think the cat liked this dress more than me, as she always wanted to sleep on it! Once a homeless, mistrusting cat, she never curled up on your lap, but the day I wore this dress she did. It was worth making it for that alone. 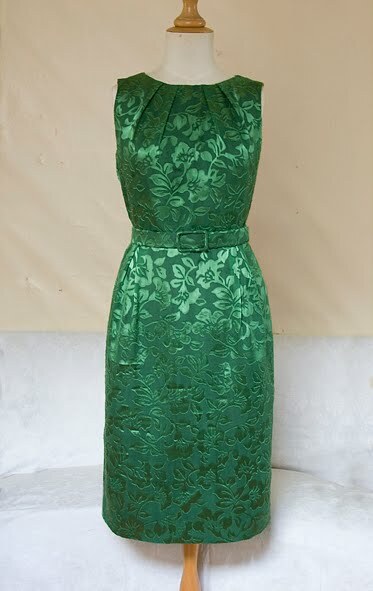 This was made to wear to a wedding – if the fabric wasn’t so dressy I would have worn it again as it is a great classic. Worn for the photoshoot! This may be out in the garden shed in the Totally Unnecessary Garment wardrobe…just in case I ever need a cocktail dress. What on earth was I thinking?!!!! Note that these are mainly vintage patterns! Not sure what I was thinking here (actually I do, I was going through a brave “clashing patterns” phase…) but I do know I had a rather cool dress planned for the same pattern and this was a prototype of sorts. I only wore it for the photoshoot! Again – never worn. I loved the colours in the fabric, but this dress definitely isn’t ‘me’ either. Another never worn experiment in trying out a vintage pattern, but this time in a misbehaving inherited cheap polyester fabric. This is still hanging in my wardrobe, I kind of like it but I feel like it is for a funeral. These were always going to be an experiment in taste. I still like something about these, however they are way too big now so maybe that is a good thing! 2. Unless he is a drycleaner, keep your husband away from emerald silk blouses! 3. If you have a suspicion that you are too old for something that cute, you possibly are. 4. Take the time to handwash those delicate fabrics or those that readily fade. Remember the time investment you made to make them. 5. Protect your fabric and clothing (especially stored items) from moths. Advice needed here please! 6. 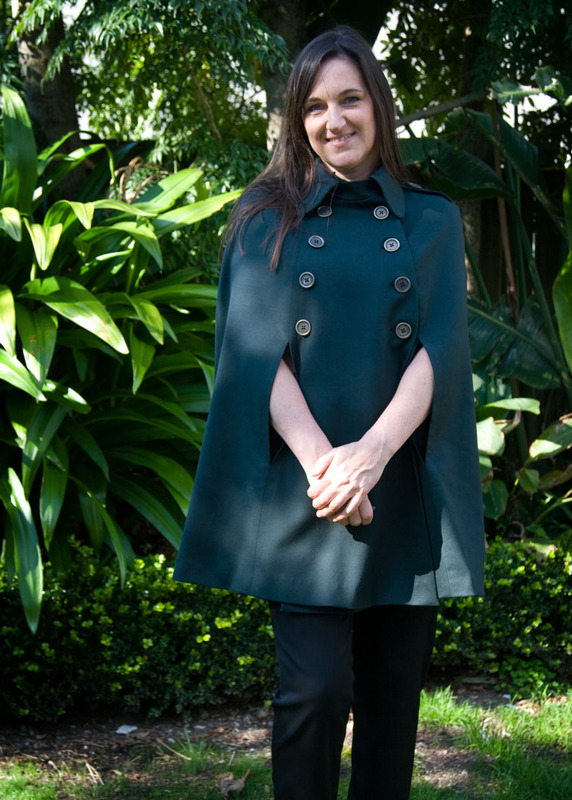 Consider the practicality of the design – can you walk in it, can you brush your hair in it, if it’s a cape can you whip it off like Zorro? 7. Consider the fact that the pressure to use up your burgeoning stash, could have a negative influence on your style decisions. Yes, that 20 year old fabric is perfect for that Young Junior Teen dress, but are you a Young Junior Teen? 8. Consider extra-carefully the practicality, wearability and suitability of vintage designs. In retrospect I think I was influenced by vintage sewing bloggers and veering too far from my own style. 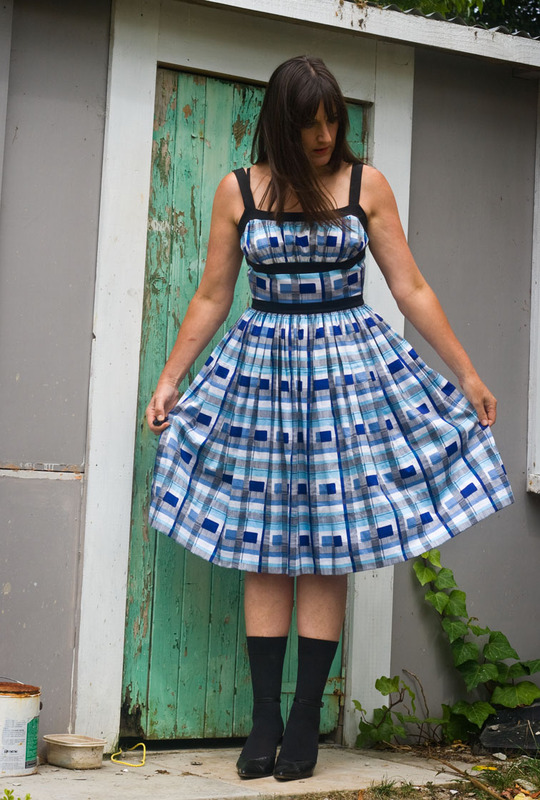 It is wonderful to make something to extend your boundaries, (as a patternmaker I gained a perspective of vintage designs that I didn’t previously have) but unless you want to risk a latent item in your wardrobe, modern patterns are probably safer for everyday wear. Did I really need to say that?! Do you make a lot of things that you hardly wear? PS: How do you prevent moths from eating your expensive wools? 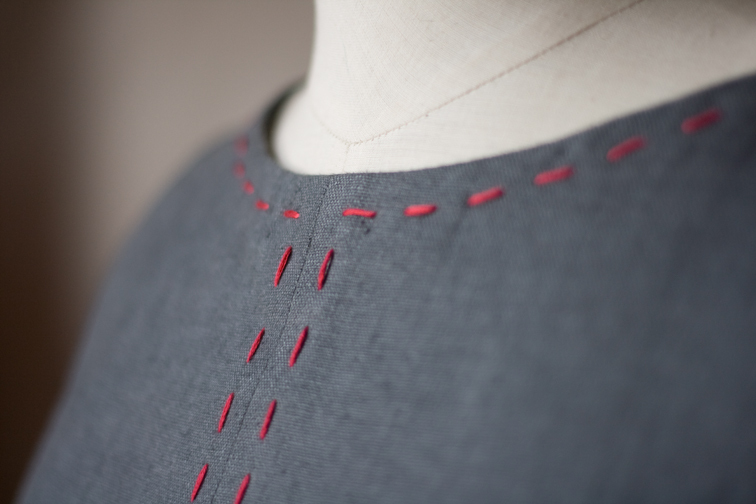 Also – shall I make a PDF pattern of the Juliette Dress (below) – anyone interested? What a great post! It's cool to see what things last for other people. I've made the occasional thing I hardly wear, usually because either something was just a bit wrong with the fit (things that creep up or diwn as the day goes on) or because I never got round to sewung the things that were meant to go with it. I have a very slow production rate so I try to think sbout what I'll actually wear. I need to apply the same principles to pattern and fabric acquisition. Great advice on the stash imperative, thank you. Oh I'm surprised by how many of your items I loved so I 'm very grateful to know how they wore, lasted (or not) and if they are in use still. I think I am one of those who make vintage patterns, executed perfectly but never worn as they don't fit right, look silly on me or just too dressed up for the stay at home life I'm currently living. I keep trying to make a Coal miner's daughter dress, but stop myself in time so far. Lots of good advice in your post. I am trying to make some good basics (that I desperately need) and some work wear in the expectation I will eventually get a job! You've made some beautiful pieces over the years and some I recall admiring at the time of making – especially the emerald blouse. I agree that 70s jumpsuit has to go! I find it hard to throw out items I've sewn. Today I looked down at my skirt and thought it is looking a little worn out…but one more wear…or two! 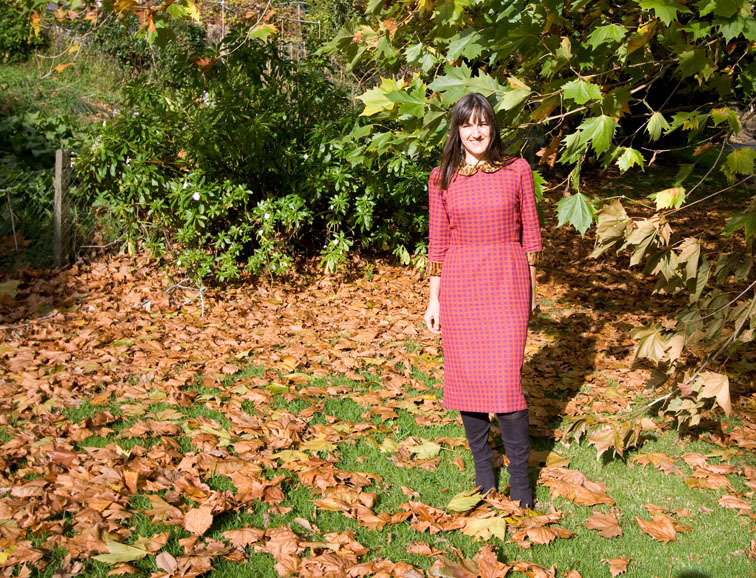 so interesting so see what works for you – your biba dress is so lovely! 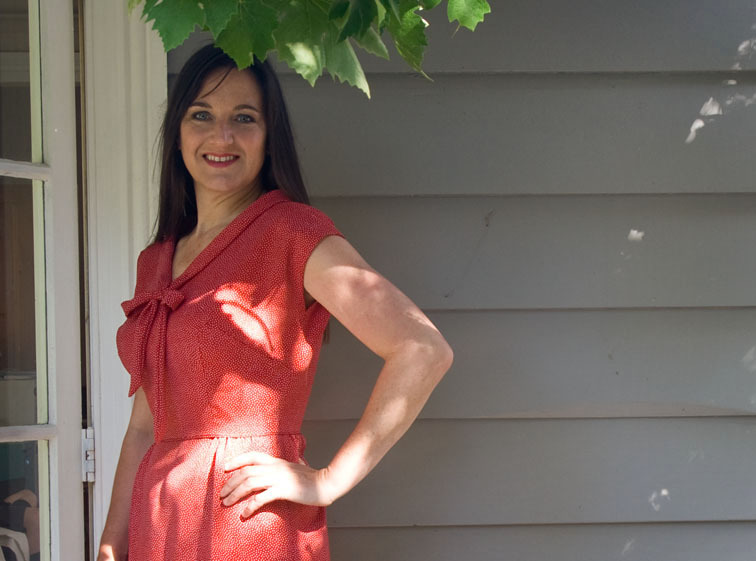 i wear just about everything i make on a regular basis – vintage or not! i think it's more about making them wearable (with fabric choice or styling – i don't go the full vintage look and if i made silk dresses they would stay in the handwash pile!). but i hear you on things looking too cute – i made quite a few dresses/ tops with peter pan collars and i just can't really wear them any more! I'd love a pattern of the juliette bodice! it's coming into winter here (UK) but it's a lovely one for summer. Love this post!! And, yes, TOTALLY interested in a PDF pattern. First, cedar does not keep them away – that is almost a myth. For cedar to work it would have to be so saturated in the air that it is virtually impossible. Keep the cedar, or lavender, etc., for it's nice scent, but it won't prevent moth holes. Second, if they can be found, buy clothes moths traps – not traps for other types of moths, but specifically for clothes moths. They are sticky triangle folded traps that have some kind of hormonal attraction geared towards the specific type of moth. The traps likely won't kill all the moths, but are very helpful for monitoring when/if there's a moth problem. Third, and not fun – clean and vacuum out all clothing storage areas, like closets and drawers, and very important – vacuum out the crevices and corners. Those are areas that these very tiny moths like to live. For good measure, I sprayed the crevices in my wardrobe with a “non-toxic” flying insect killer. After all this, I now keep wool and other inspect-attractive fibers in sealed plastic bags for storage. (Moths will supposedly eat silk too, and I had suit made out of a stretch wool blend where they just chewed around the lycra fibers). I just use ordinary clear trash/recycling bags, squeeze the air out, and tie the end in a knot. Prior to bagging, the clothes are cleaned or if clean, run through a hot dry cycle or put in the freezer for a week. * So far, so good. Also, it's the larvae that eat clothes, not the little flying moths (which hide from light & are hard to see). I also examine my clothes carefully before storage, looking between linings for anything suspicious. I'm not sure if it's true everywhere, but here in New York, the clothing moths are supposedly active in the Spring primarily – at the time when woolens are getting put away for storage. It would probably be helpful to find out when clothing moths are most active in your area and monitor the traps during that time. Good luck! *There's some dispute over whether freezing helps, but I usually keep my more delicate items in the freezer, wrapped tightly in a plastic bag, for a full week. oh my, Totally Unnecessary Garment Wardrobe – I love that phrase and I have a LOT of those 🙂 interesting post. and yes moths or other little bugs, every year I find new holes in my beloved cashmere sweaters. what to do? agree about the larvae, I have caught them in the act. so annoying! 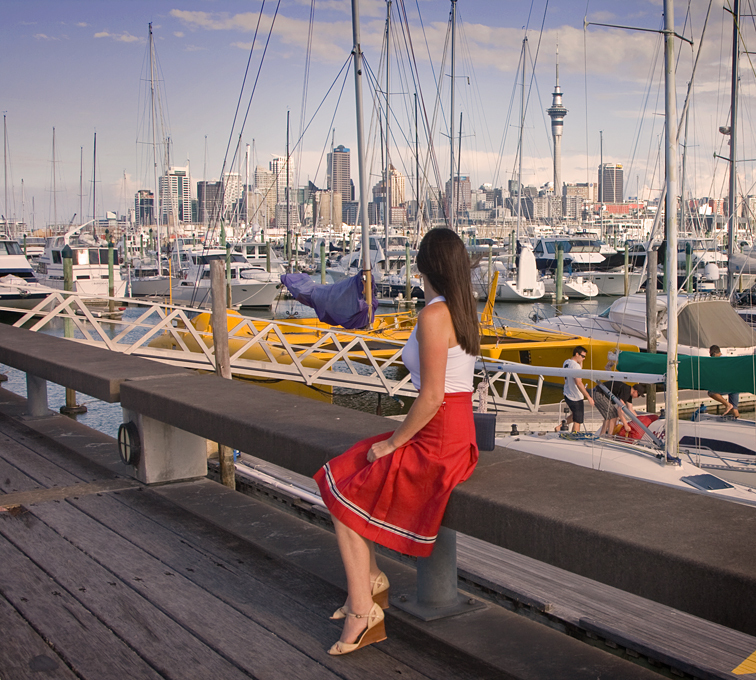 I really enjoyed this post; those sailor pants are awesome! I've recently found moth damage in some of my less frequently used cupboards and even found a moth 'nest' (?) stuck to a silk dress. Yuck and annoying! I bought some things from the supermarket that are made of cardboard and hang on a little hook. The cupboard now has that fake air freshener smell when opened, but so far it seems to be working. Moths! You buy expensive nice things thinking they will last forever and then you have holes!! Thanks Jen L for the tips. Fun too looking at your wardrobe analysis. Gotta watch out for designs that look too young or are impractical. Thanks but no thanks for the offer of the PDF. That design would not be something that would fit into my lifestyle. oh I know that feeling . I make everything but because my life revolves around work , home, garden and small children I tend to make that same things again and again I.e. pants and various tops. I have recently discovered dresses again and am using Tessuti patterns which are so well drafted and seem to suit my life very well . If you haven't come across them they are really worth looking at IMHO. The problem for me is that when I DO need something dressy I feel really weird and start to want to make up my usual clothes but in dressier fabrics . I really need to get a bit more adventurous and maybe even have some things on standby in the wardrobe !! I think I've finally gotten to a place where I've kept at least 3/4 of what I sewed last year. But I've been sewing for 6 years and I've given away or sliced up way more garments than I've kept. It's humbling! I maintain a record on my blog to keep myself honest: http://crabandbee.com/sewing-projects/wardrobe-inventory/ and have learned some boring truths about what I love to wear – blue, white, black, grey, separates. A www! 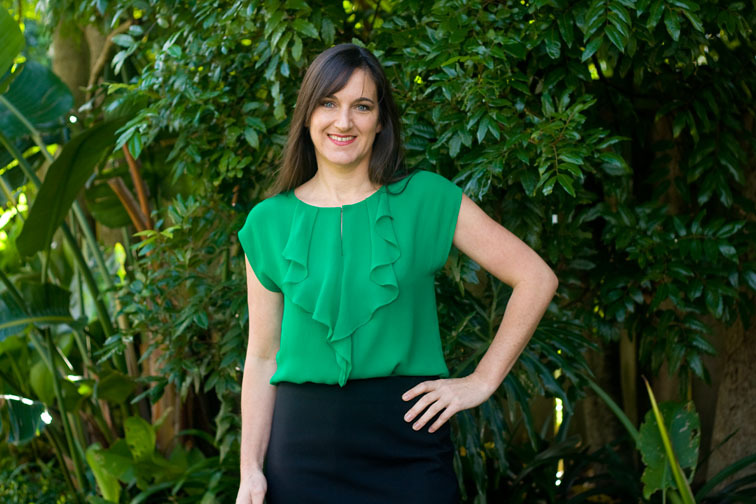 I feel so sorry for your silk blouse – it was a gemstone ( emerald � ) in your wardrobe! Regarding moths – the bane of my life. I live in mortal fear of the little blighters. They never eat the cheap stuff either! And hallelujah to the 'no vintage' thing. I just feel like I'm wearing dress ups, clearly I can't carry the look. 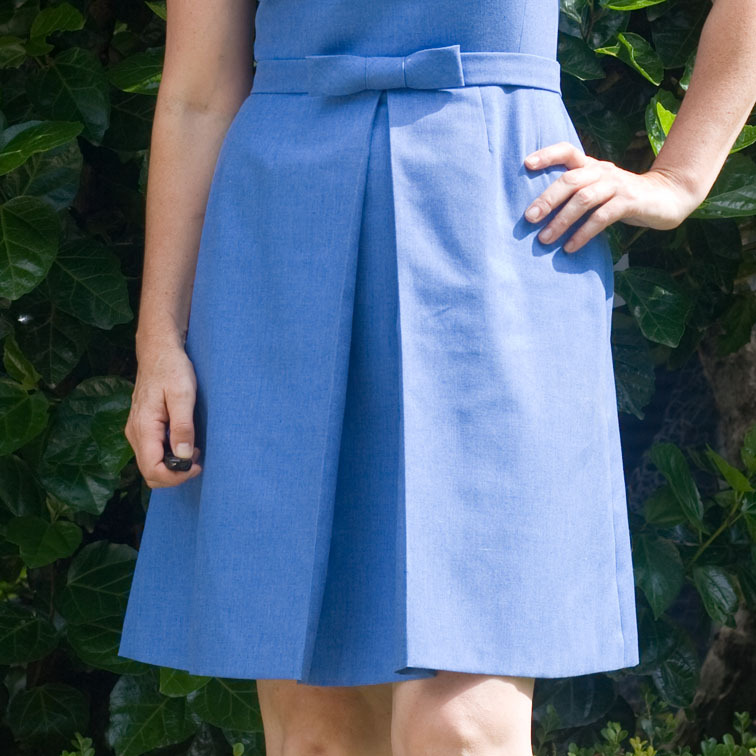 There's this one chambray dress I made – every time I put it on I feel like Alice in Wonderland and thats not good at 50! Don't despair about that beautiful emerald blouse. You can probably re-dye it to a darker color. It won't be the same, but probably be wearable again. It could be worse…you could lose 2 dresses sizes and nuthin I mean nuthin I made for the previous 4 years fits now. So I totally understand about the giveaway. I need to find out how to keep silverfish out of my fabric. I made little organza bags and filled them with lavender. It's been really effective. I tuck them between layers of folded wools on the shelf and sitting right on top. Stay away you little suckers! Great post. I don't sew vintage as I am vintage and the two really don't go well together. I so admire the designs but wonder how many vintage bloggers really wear their clothes to work and around the house. I doubt few do and your honesty about it all is refreshing. Always love me an honest sewing blogger! Thanks. Gosh you're being good, divesting yourself of items that don't work/fit/whatever. I'm sorry to hear about the disasters too. I don't sew quickly enough for that but ya never know, one day perhaps! Hmm… Lots of familiar issues here. 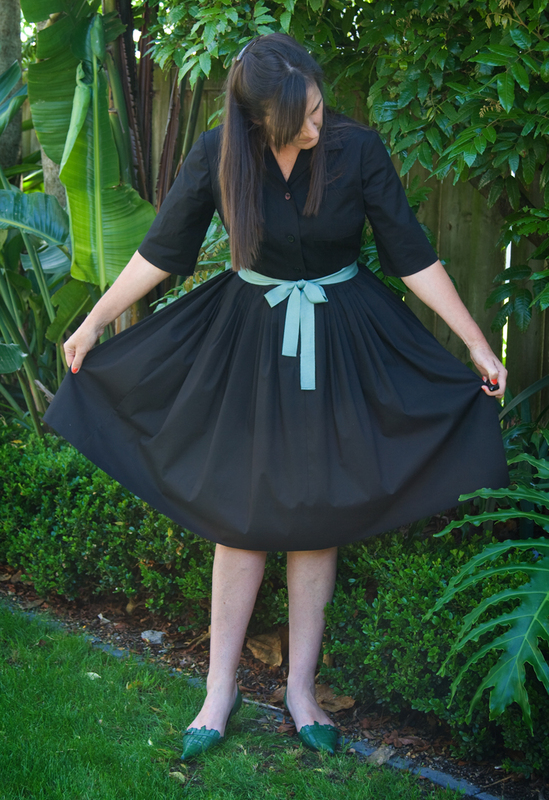 I have been trying to push my style boundaries with the Vintage Sewing Pattern Pledge but most of the items from new-to-me eras don't get worn (apart from the simple 1960's dresses. Those were a success). And fancy items are a similar risk. 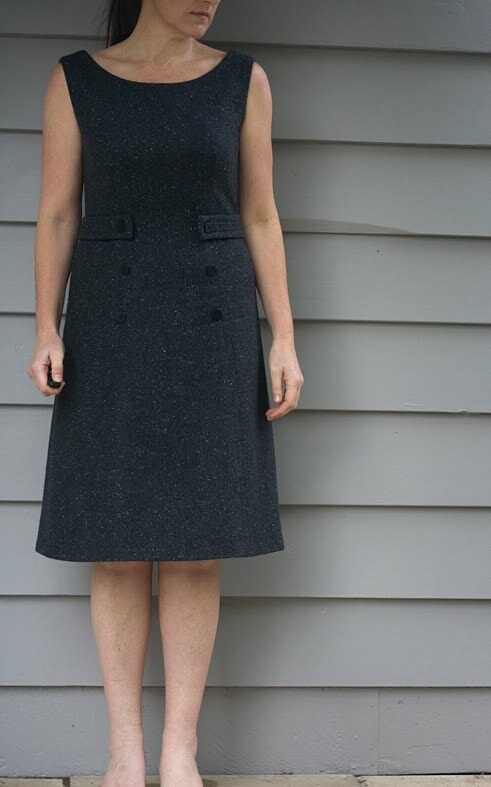 I am always much more likely to wear a garment in a humble, washable fabric than one (even if it is also self-drafted and has the same kind of style, my signature 1950's-meets-today) which was carefully crafted out of something luxurious and wonderful which has to be dry-cleaned. And of course, “stunt items”, cool things I made just because I can are always at risk of not getting worn… Yes, I think I have things in my wardrobe which should really be worn more or thrown out. Oh, and I also live in fear of moths. They ate some of the beautiful wool crepe in my fabric stash last year… I use bags with ceder wood chips to keep them away (I have also found old-fashioned moth balls and use them for that one drawer of fabric but I don't want to use them more because the smell is so strong). I'm not convinced it really works 100% but it is better than nothing. I hope you are able to salvage that emerald green blouse. It is fantastic! And yes I would definitely be interested in the PDF of the Juliette dress. Great post, it's so interesting to see what others actually still wear from all their hand made goodies. I have problems with moth holes in cotton handkerchiefs that fall out from under my pillow and sit between the bed head and the wall until I find them again! I haven't found any moth holes in anything else (thank goodness), and every time I see one flying around I try to catch it so that it can't breed! I know the ones – they seem perfect at a fitting, but during the first day of wear you discover small issues you never noticed – like you can't bend over or something! Perfectly constructed wadders is so right – from now on I'm concentrating on things I will actually wear. OK, maybe the odd fantasy item! Off to check out your post – thanks! Before I cut anything out now I have to ask myself if I will really wear it, and if it is a top or bottom – what else does it go with! The 70's jumpsuit is a hoot, the cover illustration on the pattern was equally wacky! That's great you wear your things regularly! And yes – peter pan collars are a big culprit! That's great you wear most of your things – you can't go wrong with practical everyday stuff and I need to focus on that more! It is spring here so I better watch out! Thanks so much for all these tips, they are very useful. I have heard of the freezer trick before, and did that to some secondhand woollen yarn I brought home one day – just in case! Ooh no your cashmere sweaters! I always wash my knitted garments in a eucalyptus based product, and haven't had a problem with them yet. Thanks! I must look out for a product like this here. 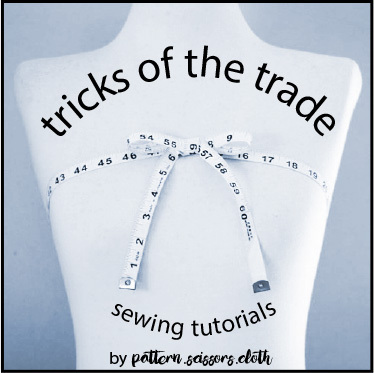 I am definitely guilty of sewing the 'too young AND impractical'! I hope to be more focused from now on – lesson learnt! Vintage patterns are adorable, and so tempting! Part of me likes to sew for the process rather than the end result, so I don't mind making a few out of stash fabric that would otherwise still be stash fabric! 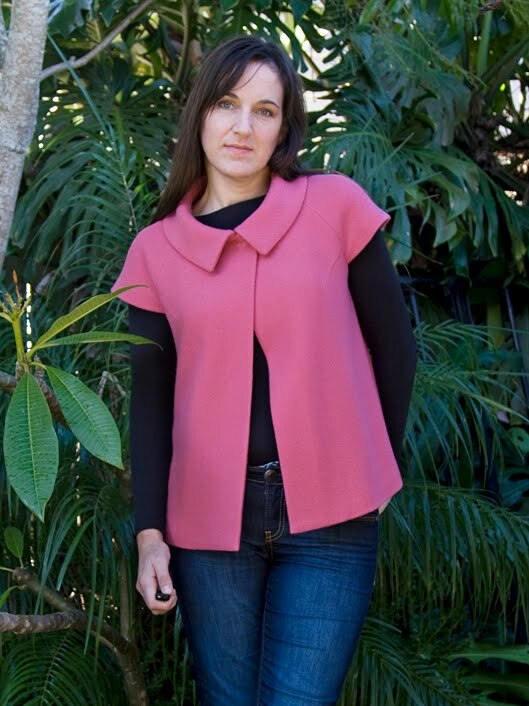 I've seen the latest Tesutti top pattern which looks like a great basic – in casual or dressy fabric. 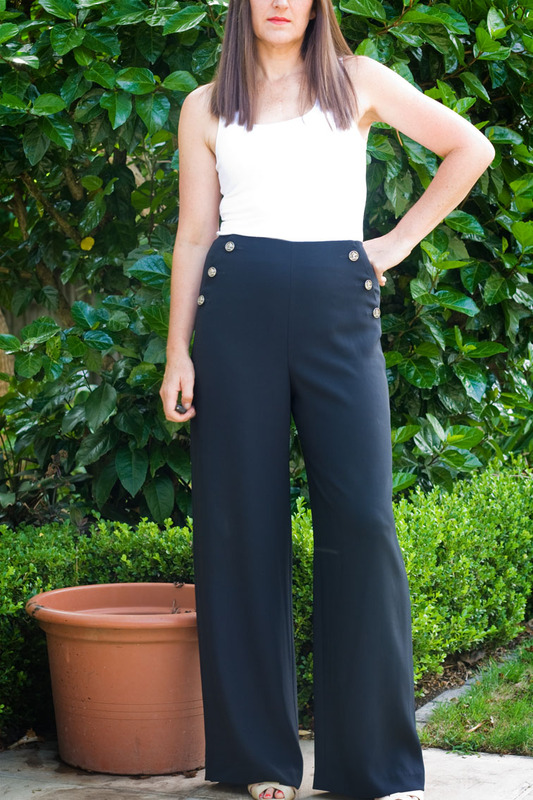 I really missed my sailor pants when they got too big, and it was a mission ie practically a remake to downsize them – but worth it. Off to check out your wardrobe inventory! For years I have never had a problem with moths, but suddenly…, and yes I did buy some secondhand wool. I'm going to be wary in future, and freeze any secondhand purchases immediately! Thanks Lesley! 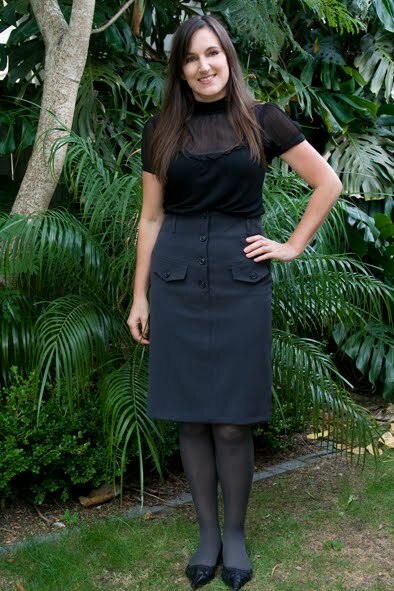 I've checked out your beautiful blog, and your tailoring holiday sounds amazing! Next time take me!! Looking forward to your post on the finished jacket. 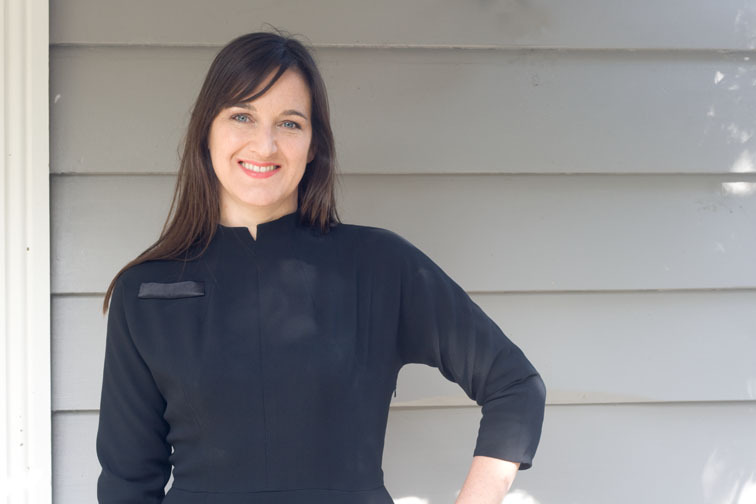 Yes, one size is just doable – two sizes isn't!! But I've seen the size of your fabric cave Carolyn so I imagine you'll have a new wardrobe soon! I grew up with lavender bags around the place, I might have to reinstate that tradition. I love the vintage designs too, but I think I have to learn to admire them from the outside of the pattern envelope! I agree Lauriana, the 60's are really wearable, at least for this shift dress fanatic! That is a shame about your wool crepe – as Lesley said, they go for the best stuff. Good luck with the rock climbing! The emerald blouse is officially gone now, but to be honest I was over the flounce thing anyway. I think I might need another top in the same colour though! If I see a moth flying around now I think I will fumigate the whole house!! Thanks for the thought! It has gone now though. I think the emerald blouse was the first item I saw from you, loved that one. I am totally with you and nice ( don`t find the right word) to see that I am not alone making things that sometimes don`t get worn of way to less . But now I am sewing a little out necessity, so items that I need , like jeans and tops and dresses and I enjoy wear them everyday . I would definitely try the PDF , love that dress !